HP DeskJet 2634 Printer has 3.42 Kg weight with 424.97 x 547.7 x 248.77 mm dimensions. The printer comes with print, scan, and copy features. One can easily fulfill small printing jobs from this printer. This DeskJet printer has a low footprint and is compatible with MAC and Windows both. The paper handling capacity of the printer is 60 pages, which is comparatively lower than the other DeskJet series printer. The printer incorporates 2 HP DeskJet 2634 ink cartridges for printing the document. The printer offers high printing resolution of 4800 x 1200 dpi with the printing speed of 16 ppm (colours) and 20 ppm (Grayscale). In addition, the printer can copy the document with 6 cpm (Colour) and 3 cpm (Grayscale). The scanner & copier unit of the printer offers a good scanning resolution of about 1200 x 1200 dpi. The printer allows various media types including- A4, letter, legal, and envelopes. To provide easy-printing solution, the printer supports wired connection via USB Port. In addition, wireless connections, mobile printing, and Apple AirPrint offer trouble-free printing job. Print, scan, and copy are the core features of the HP DeskJet 2634 printer. The printer is the perfect pick for printing monochrome documents at high speed. This compact-sized printer can be used for home-office or minor printing jobs. Wireless printing and multimedia compatibility are add-on features of DeskJet 2634 printer. What are the steps to clear the paper jam from the cartridge access area? Step 1. Press the cancel button to clear the jam automatically. If this does not work and you’re still facing paper jam, complete the following steps to clear the jam manually. Step 2. To remove the jammed paper from the printer, check these steps. Press the power button, to turn off the printer. Open the HP DeskJet 2634 ink cartridge access door. If the print carriage is placed in the center of the printer, slide it to the right. Step 3. Press the power button to turn the printer On and check if you are able to print now. How to improve the print quality of HP DeskJet 2634 printer? Step 1. Make sure you are using high-quality HP DeskJet 2634 ink cartridge. To attain the best print quality, always use high-quality paper, or papers that adhere to the ColorLok® standard. Make sure that the paper you are printing on is flat. To get the best printing results, use HP advanced photo paper. Store the paper in its original packaging inside a resealable plastic bag on a flat surface in a dry place. When you are ready to print, remove only that paper you are planning to use immediately. Once you finished printing, return any unused photo paper to the plastic bag. This will prevent the photo paper from curling. Step 3. Check the printer software to ensure you have selected the appropriate paper type from the media drop-down list and print quality from the quality settings. In the printer software, click on print and scan option and then click on set preferences to access the print properties. Step 4. Check the estimated ink level to determine if the HP DeskJet 2634 ink cartridges are low on ink. If ink below the estimated level, consider replacing them. Step 5. Align the print cartridges. Step 7. Clean the cartridges, if you find steaks or missing portions of the colour and black boxes. Q. What are the different types and sizes of paper that are compatible with HP DeskJet 2634 printers? A. You can use A4, B5, A6 size plain paper, letter paper, legal paper, envelopes (No. 10 , DL), 4” x 6”, 5” x 7”, 8” x 10”, brochure paper and photo paper with your DeskJet 2634 printer. Q. Can using compatible HP DeskJet 2634 ink cartridges cause any damage to my printer? A. If you opt for our compatible ink cartridges for your printer, we guarantee that the compatible ink cartridges will work well with your printer, without causing any damage to it. You will be 100% satisfied with the quality of our compatible ink cartridges. Q. I am looking for a printer to set up in a small office. It should be capable of printing from multiple devices at a time. Is the HP DeskJet 2634 printer suitable for me? A. HP DeskJet 2634 printers are meant for small office and home users. They are capable of connecting and printing from various devices at a time via Wi-Fi. This printer will satisfy all your printing needs. Q. How do I check the remaining ink levels of my HP DeskJet 2634 ink cartridges from my Mac computer? Open the HP Utility window and select your printer from the list of devices on the left of the window. Click on “Supplies Status” to see the estimated ink levels of your ink cartridges. You will be notified by your printer when the ink levels of your cartridges are running low, so that you can keep a replacement ready for the same. Q. What are the different features of this printer? 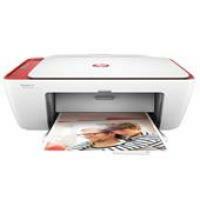 A. HP DeskJet 2634 printers are capable of printing, scanning as well as copying. They come with built in Wi-Fi, allowing the user to connect to various computers and mobile devices wirelessly. They are also capable of manual duplexing and can print using HP ePrint. Q. Are the prices of your compatible HP DeskJet 2634 ink cartridges inclusive of delivery? A. No, we charge our customers a standard fee of €1.99 for delivery of items.